Willie Obiano, Governor of Anambra State. Are you a cassava farmer in Anambra state or considering investing in cassava farming? You should pay attention to this story. Governor Willie Obiano of Anambra seems quite confident that his administration will survive beyond 2017. He says his administration will increase cassava output and processing by 2018. 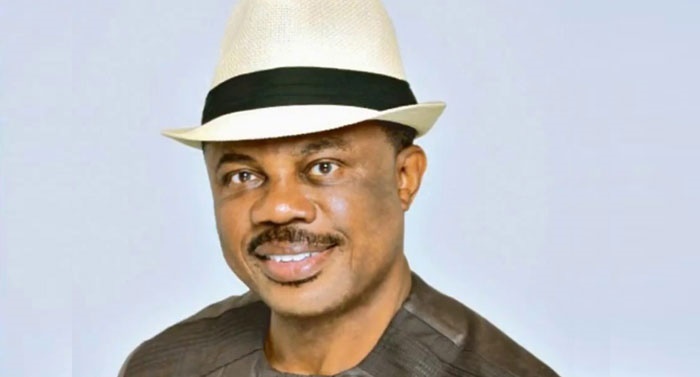 The governor said this on Tuesday during the inauguration of an ultra-modern Cassava Processing Centre and Farmers’ Business Forum at Anambra State Polytechnic (ANSPOLY) in Mgbakwu. The processing centre is a joint project executed by the institution and Harvest Plus, an organisation that improves nutrition and public health via production of bio-fortified food crops. Obiano said that the new strategy for improved cassava production and processing would be in full operation by 2018, adding that “Anambra Garri’’ would soon saturate the markets. The governor, who was represented by the Commissioner for Agriculture, Afam Mbanefo, said the state is already a leading producer of rice and exporter of vegetables. Obiano, who commended Harvest Plus for donating the machines for the project, said prototypes would be installed in communities across the state during his second term in office. The Commissioner for Education, Prof. Kate Omenugha, urged cassava farmers to take due advantage of the processing machines to boost production.